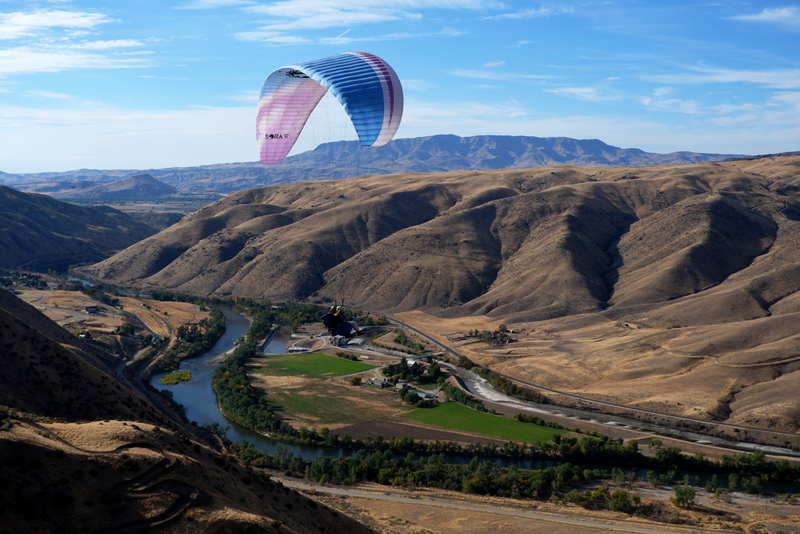 Come Paraglide Above the Payette River in Horseshoe Bend, ID! This Will Be A Tandem Paragliding Experience you will never forget! Our tandem pilots are super fun, USHPA certified, and professional. You're in safe hands with some of the most experienced pilots in the industry. So kick back and enjoy your flight. We look forward to showing you a different perspective of the world! This is Guaranteed to be one of the most fun things you can do near Boise, Idaho! Don't just take our word for it, take the word of all these happy customers who have had a blast flying with us! 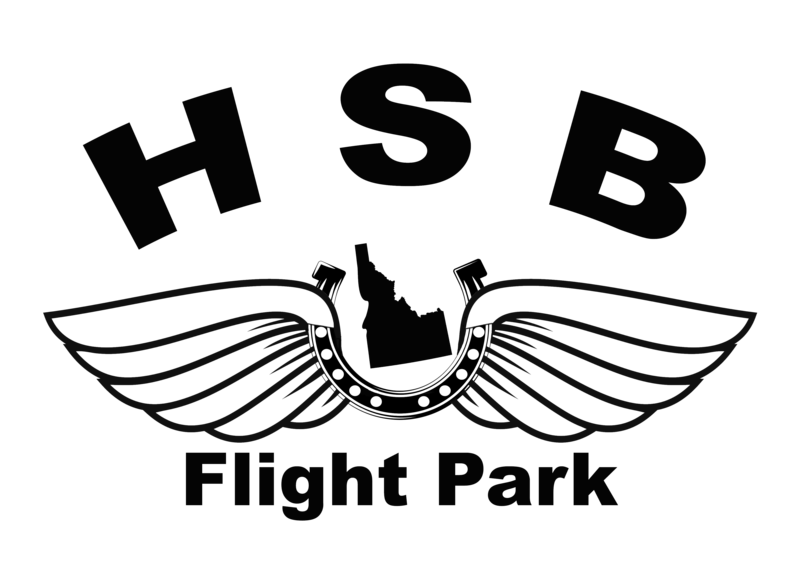 All tandem paragliding experiences include USHPA Membership, liability insurance, basic instructions and a beautiful flight over the mountains surrounding the Payette River. Our tandem flights provide a once in a lifetime experience. We currently offer Tandem Paragliding most every day of the week. Please click on link below to schedule the date and time you would like to come fly! When you sign up with 4 or more friends receive $20 off per person! Thats a great deal! Sign up your group now and we'll see you on the mountain! 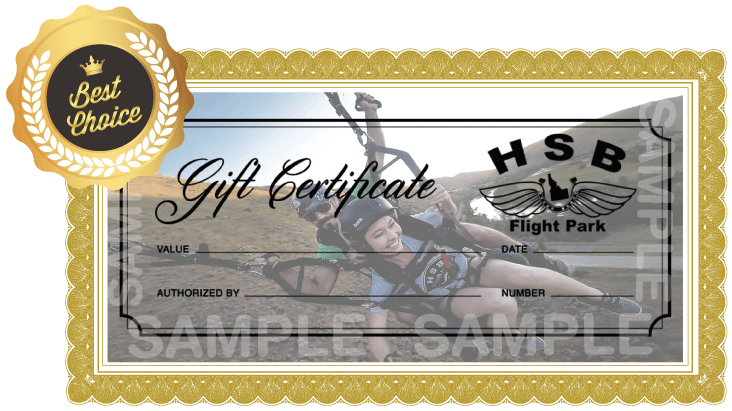 Buy a Tandem Paragliding Flight for a Friend or Family Member With A Gift Certificate! There is no better experience you can give than the gift of a tandem paragliding flight! We offer gift certificates that can be given to anyone of age and used on any future date. We guarantee this will be a fun! 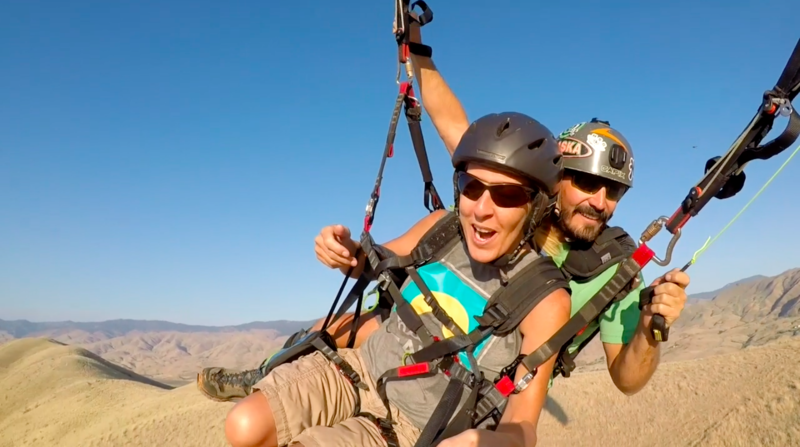 Whether your looking for a good anniversary gift idea for your wife / husband or your looking for an exciting birthday gift to give to a friend or family member, a tandem paragliding flight is definitely one that will top the list!